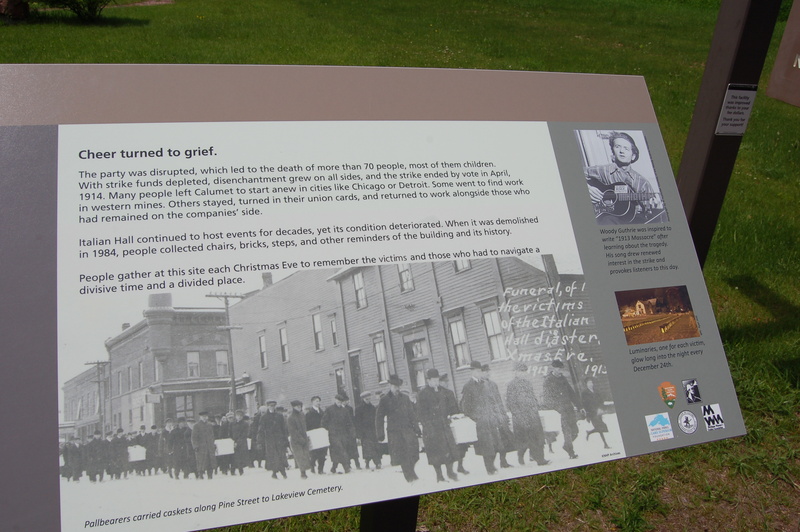 On our journeys across the state we’ve explored many historical sites, and while most provoke a sense of awe and nostalgia others are a reminder of tragedy and heartbreak. 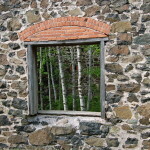 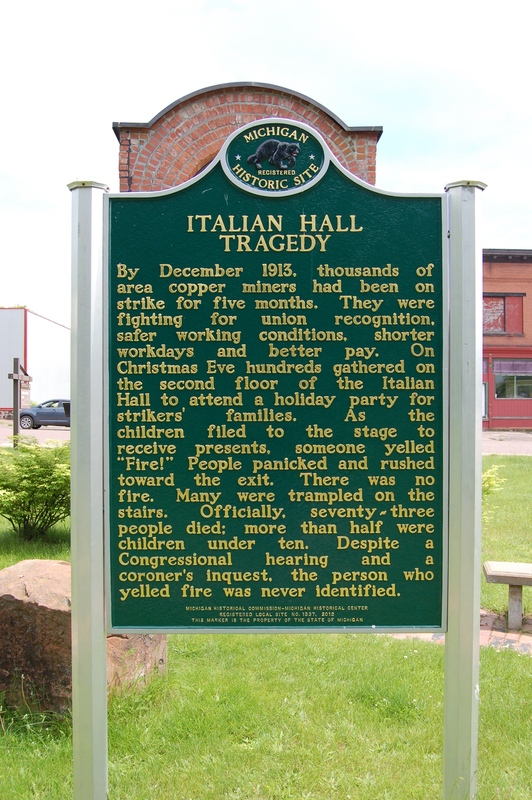 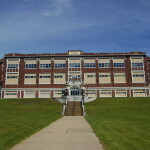 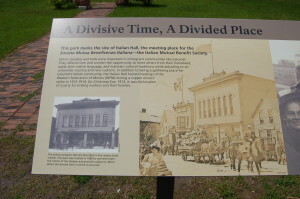 The site of the Italian Hall disaster in Calumet, Michigan is a reminder that the copper boom provided a great deal of wealth for the Keweenaw Peninsula and that mining had an enormous effect on every aspect of life in the region. 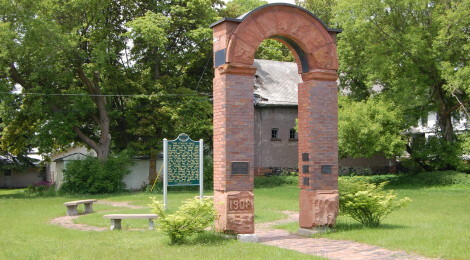 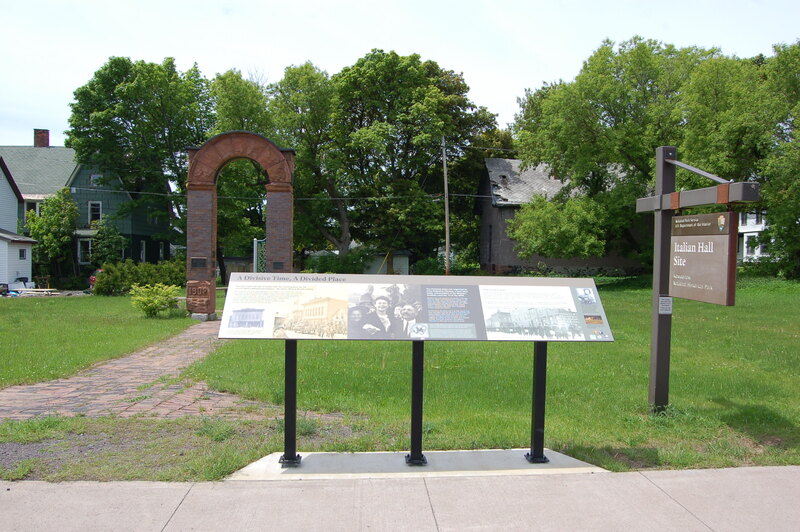 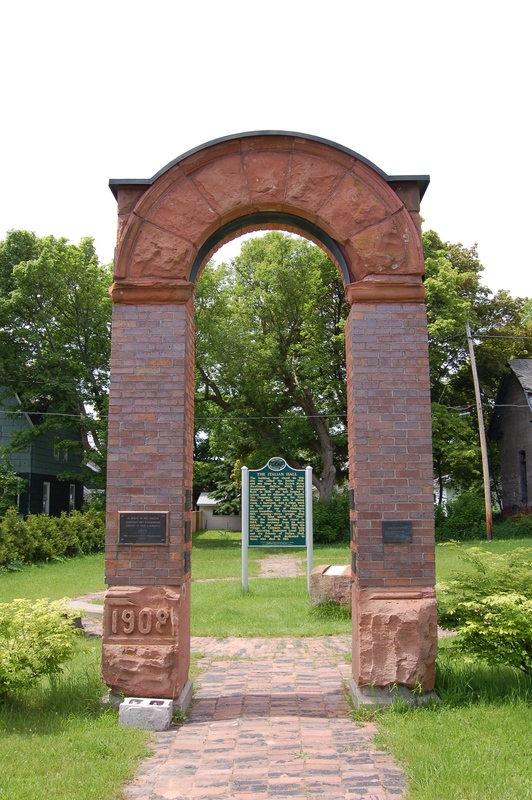 A two-sided Michigan historical marker at the site stands near an archway from the building in a small pocket park on Elm St. Today, on the 103rd anniversary of this tragedy, we take a look at the memorial park and the history of this hall, as well as what events led up to that terrible tragedy. 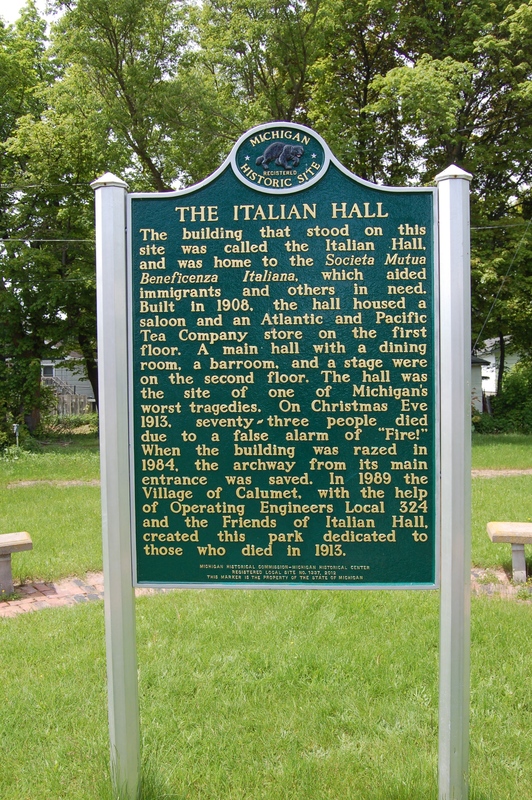 A set of three full-color plaques dives deeper into the history of the building as well as the buildup to the Christmas Eve tragedy. 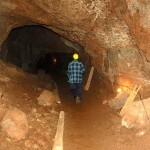 Here you can see pictures of what the hall used to look like, as well as pictures of a few of the people involved with the mining strike. 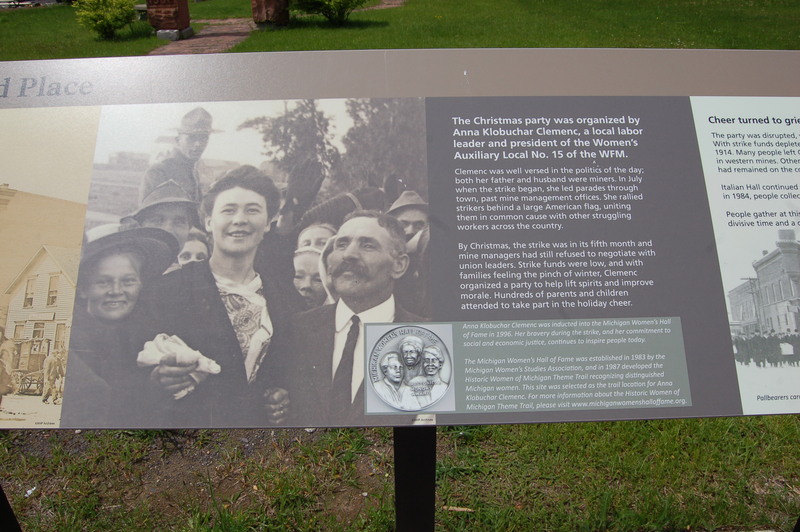 “The Christmas party was organized by Anna Klobuchar Clemenc, a local labor leader and president of the Women’s Auxiliary Local No. 15 of the WFM.” The party was organized to help take minds off the strike, which was in its fifth month and still found management unwilling to negotiate with workers. 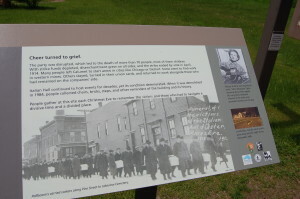 The third panel of this plaque shows a small photo of folk singer Woody Guthrie, who wrote the song “1913 massacre” to honor those who lost their lives and call attention to the plight of workers. 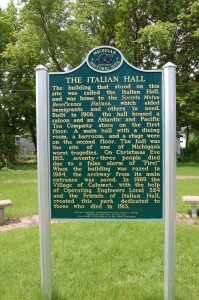 Some still believe the person who created the panic at the hall was an agent of union management.